where was god during the japanese earthquake? | Have You Accepted Cheeses As Your Personal Flavor? On March 11, 2011 Japan was hit by a 9.0 earthquake which triggered a massive tsunami that left the east coast of the country decimated. At the time of this post (almost 3 weeks later), the death toll has passed 18,000 and the Japanese government has estimated the cost could reach beyond $300 billion. Whenever something so amazingly catastrophic like this happens, it is normal to ask questions: Where was God during the Japanese earthquake? Did He cause it? If He did, was it to judge Japan? 1) God purposely caused the earthquake as a means of communicating with, either teaching or punishing humanity. 2) Satan caused it, in keeping with his general desire of destruction, death and mayhem. 3) It was a natural occurrence due to fault lines in the earth with no spiritual message intended by any supernatural beings. The Christian must take each of these options and weigh them against what the Bible teaches. I personally think option three is the best choice. In addition to it being the simplest answer, it also seems to be the most biblical. I realize that’s not the most popular interpretation in the Christian evangelical community right now, so let’s go through each option and compare it to what the Bible actually teaches. 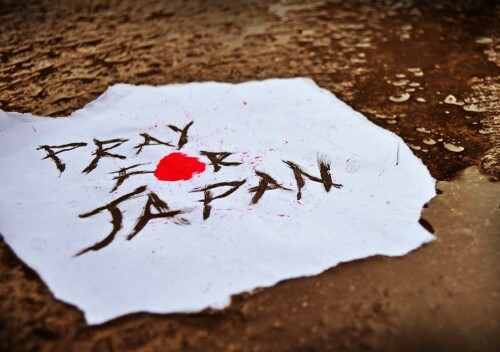 OPTION ONE: God has possibly caused this tragedy to punish or communicate with the Japanese. There are two New Testament biblical texts I would reference to build my case that this is not an accurate interpretation of why the earthquake happened. First is Luke 13:1-5 where Jesus brings up two tragedies: one is the murder of people while worshiping and the other is the collapse of a building where 18 people died. Jesus volunteers the question: did these things happen because the people who died were worse sinners than others and were being punished? His answer is no. And in typical Jesus fashion, he doesn’t even answer the “why” question but instead uses the catastrophes to warn them that bad stuff happens in this life and we had better be right with God since we don’t know when we’ll die. Secondly, I’d point to the passage of Jesus calming the storm in Matthew 8:23-26. The Bible doesn’t speak to why the storm existed. It does, though, show Jesus rebuking the storm and causing it to stop. If God was the author of the storm why would Jesus stop it? As Jesus said, “a house divided against itself cannot stand.” If God had sent the storm as a message or punishment to the disciples, then Jesus should have allowed it to continue and not interfered, ensuring they got the message in its entirety. In both of these New Testament examples, the scripture shows God as the solution to, not the author of life’s problems (Acts 10:38). Bottom line: there isn’t a single New Testament verse that would support God actively judging people for their sin by using a natural disaster. So what do most Christians who support this idea do? They hop on over to the Old Testament to justify this thinking. The problem with that is twofold: first, the Old Testament is an incomplete, point-in-time revelation of who God is. Hebrews 1:1-3 says “Long ago God spoke many times and in many ways to our ancestors through the prophets. And now in these final days, he has spoken to us through his Son. God promised everything to the Son as an inheritance, and through the Son he created the universe. The Son radiates God’s own glory and expresses the very character of God” (NLT). Jesus is the best, most recent and fullest description of what God is like. Period. All other illustrations of what God is like are secondary to God as expressed through Jesus. God revealed through Jesus trumps God revealed though the OT. The second problem with using Old Testament text to justify God punishing with natural disasters is all such OT punishments were always accompanied by an explicit nationwide warning by one of God’s prophets. These warnings always contained an opportunity to avoid the ensuing wrath of God. Remember why Jonah got swallowed by the fish? God had sent him to warn Nineveh about their coming destruction and he chickened out. There was no prophetic warning given to Japan by God. The lovers’ quarrel between God and Israel that is recorded in the OT just doesn’t apply to this situation. Refuting OPTION TWO is rather simple. The Bible does, in fact, teach that Satan is the author of all evil and the whole world is “under the control of the evil one” (1 John 5:19). However, we have to be careful that we not make him more powerful than he is. Satan is just a fallen angel. I don’t see any evidence in scripture where an angel can move tectonic plates at will. I’m sure he enjoyed the earthquake, tsunami and ensuing destruction but I don’t see where he has the power to cause it. OPTION THREE is the one I choose because it makes the most sense. Look, Japan is an island that was created by tectonic activity to begin with. This may sound cold but its only logical that this type of occurrence would continue throughout the country’s history. Fault lines cause earthquakes. Oceanic earthquakes cause tsunamis. Both cause death. However, even beyond the logical nature of this answer there is biblical evidence as well. Romans 8:20-22 says “Against its will, all creation was subjected to God’s curse. But with eager hope, the creation looks forward to the day when it will join God’s children in glorious freedom from death and decay. For we know that all creation has been groaning as in the pains of childbirth right up to the present time” (NLT). So the Bible teaches that just as humans were made sick with sin during the fall of man in the garden, so was creation. These natural disasters we see – hurricanes, earthquakes, tornadoes, etc. are creation’s “groaning” and the natural result of a broken world spinning towards atrophy. They aren’t “acts of God,” they are the symptoms of the sin disease our creation has contracted from fallen humanity. Now let me say, although I don’t believe God caused the earthquake, that doesn’t mean I believe He is uninvolved. I believe He is working to redeem the situation and His heart breaks for those who have died and are in turmoil because of the disaster. He is leading His worldwide followers to be his hands and feet, to help with the recovery and demonstrate His love to those who were harmed. Also, I’d like to say that on this side of omniscience, for all we know God did intervene significantly. Perhaps the quake/tsunami would have been worse and all of Japan would have been destroyed. Maybe God prevented millions of lives being lost instead of thousands. We just don’t know. So where was God during the Japanese earthquake? He was there. Grieving for those who died without faith, welcoming those who died that believed and mourning over the destruction. And now He is asking you: if life as you know it was suddenly snatched from you like it was from those in Japan, would you be ready? Great blog. You nailed it!!! In fact, it was so clear that it will greatly irritate some of our calvanistically leaning brethren. Hey Rich, thanks for commenting! 1) What evidence do you have that America is “the future promise land?” Is it the over 45 million legal induced abortions have been performed in the United States since 1973? Maybe its the 14.2 trillion dollars we’ve borrowed and not paid on? Is it the declining church attendence? Help me understand this please. 3) Doesn’t the passage you use in Amos 3 clearly state in verse 7 that “Indeed, the Sovereign Lord never does anything until he reveals his plans to his servants the prophets?” So where was the warning that preceded the quake? I made the point in the post that in the Old Testament, God always warned before he judged. Where was the divine warning for the 3/11/11 earthquake? 4) Do you know why God said what He said through the prophet Amos in chapter 3? It’s found in verse two: ““From among all the families on the earth, I have been intimate with you alone. That is why I must punish you for all your sins.” So we clearly see that God was disciplining Israel because they were his special people. Are the people of Japan God’s special people? If not, how do you justify using a scripture about God’s interaction with his special people (the Jews) and applying it to those who aren’t his special people? Isn’t that taking the scripture out of context, ignoring God’s intent when it was written and using the Bible for your own ideological gain? Doesn’t that constitute sin? And if God judges for sin, what natural disaster do you think God will send to you for doing that? 5) Would it make you happy or angry if you hypothetically found out that God had saved the whole nation of Japan? Do you love Japanese people and want to see them saved or do you hate them want to see them suffer? How do you think Jesus feels about them? Racism is a sin and by your thoughts, its punishable by natural disaster. Again, which disaster do you think he’ll send you? 6) Since world War II is the catalyst for all of this in your mind, don’t forget Italy and Germany were are part of the axis powers along with Japan. What natural disasters has God sent to them to punish them for fighting against America? I can think of no earthquakes or tsunamis sent to Italy or Germany, can you?